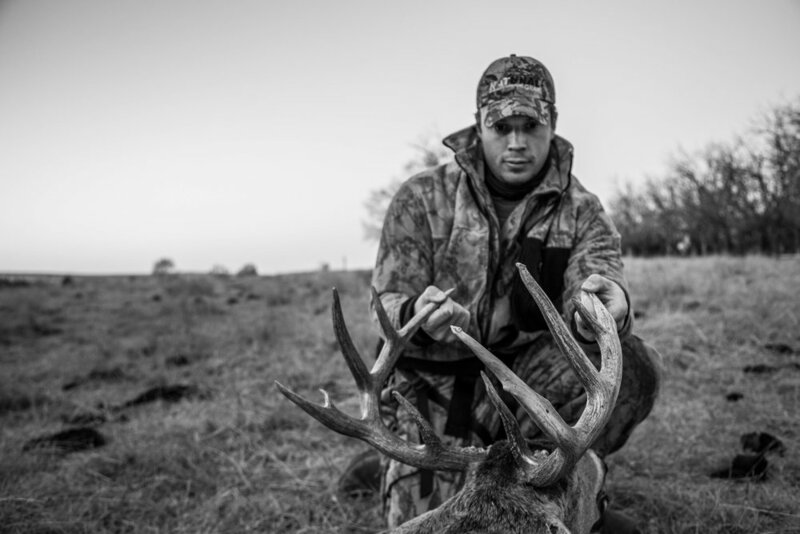 In many cases when traveling to hunt deer, my biggest cost is the tag fee. Time and gas are other big costs. I don’t know many others that travel the way I do, and when I get all introspective with it, I can see why. It really isn’t all that fun to sleep in a tent when it’s sub-freezing temps outside and you get up and put on cold clothes to go outside in the wind and find some breakfast to eat so you have the energy to walk a mile into a property carrying a stand, sticks, a bow, and all the essentials. In fact, I once shot a deer out of a truck on a ranch road with the heater on after leaving my bunk in a warm ranch house where I was served lunch and dinner by the camp chef, and I can tell you, that WAS comfortable and fun. On the other hand, one time I woke up on a wood floor in a buddy’s house in Nashville because ants were crawling all over me. Yes, I was tired and annoyed, but I quickly got over it because I was living my dream. Your dream of a big buck or an awesome experience is not that far away if you can start to cut out amenities as you travel. Work into it slowly. (Unless you’re young — then just deal with it.) First thing you’ll need is a list that will develop and adapt over the years. On that list, you will make headings like “Food” and “Gear". Start learning to travel and forego eating food that you didn’t pack. Even if it’s just a business trip or a day of fishing at a lake 70 miles away, start employing this practice. Another big cost can be your lodging fee. I have really developed my truck camping gear in the last few years, most of which stays in some big rubbermaid tubs that can be tossed in the back of the truck as I leave. Truck camping is not that bad. A decent, cheap waterproof tent, a twin air mattress and pump for $9 at Walmart, and a sleeping bag will give you a very comfortable night’s sleep most of the time. A pillow is a nice addition, but not necessary as a couple sweatshirts or jackets will work fine. Remember, be tough! I also use a MSR Pocket Rocket and a skillet for heating up food. A few gallons of water and some paper towels are good cheap things to have too. Cutting a couple hundred dollars of hotel fees on a five-day trip gives you enough money to buy a tag in another state and go on a five-day trip there (Editors note: I find this to be an extremely important tip. Cutting money in one facet, i.e. 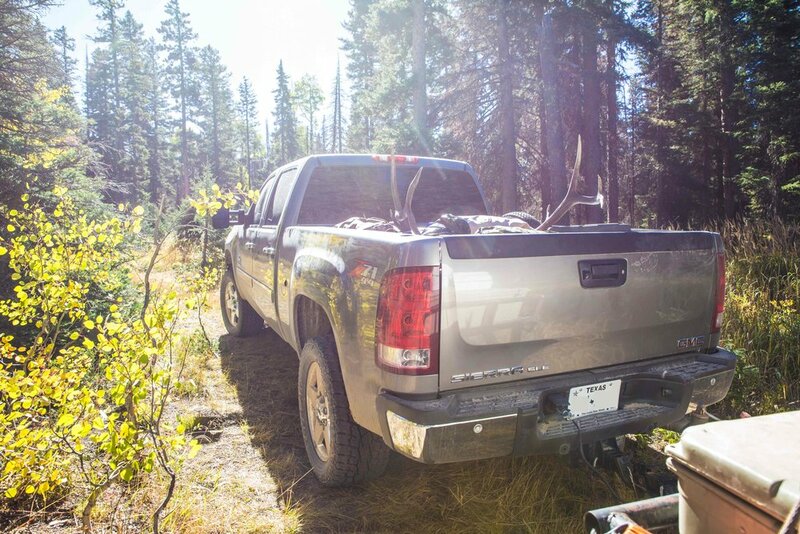 lodging could allow you to stay on a longer trip or hunt multiple states -Alex). OR… you could buy really nice flowers for your girlfriend or wife on a quarterly basis throughout the year. Gas can be another large expense. My best tip here is to be a politician and rally at least one buddy to go with you and split it. The more the merrier! Honestly, it makes nearly every task easier. For instance, last year in Colorado, my buddies Brennan and Mat shot a big 6x6 bull elk early in the trip. On the way out of the canyon with the first load, Mat tweaked his knee pretty good. My good buddy K.C. and I were able to help pull the rest of the meat out late that night after our hunt. Not to mention splitting the chores of meal preparation, driving responsibilities, and quickly setting up and breaking down camp is great. Friends are your friends, if you get what I’m saying! Learn to admit. Yes, the world is going down in flames because of social media and smart phones, but you must admit you are blessed to be able live in the age of information and read helpful articles on WhitetailDNA. After your admission, go watch YouTube and learn how to process your own meat. It can literally be done with a couple knives and ziplock bags. This will cut down on probably at least $100 per deer, and you can get the double whammy by taking the meat on your next hunting trip. Efficiency at its finest! One more money saving tip… If you kill, go to the dollar store and buy the ginormous $1 package of Duplex cookies to dip in the milk you brought and hammer them ferociously, because out-of-state success is so sweet! To see more from Tyer, be sure to visit theelementwild.com where you can listen to his podcast and watch great films.